The library is now bringing you a better way to eat, we now participate with Field Goods. 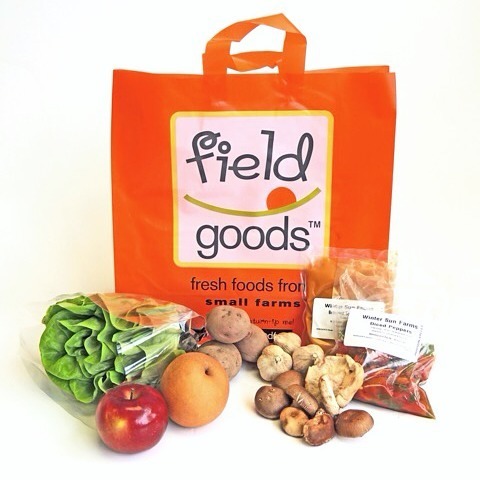 Field Goods subscribers receive 5-8 different types of fruit and vegetables each week, carefully selected and sourced from over 80 small farmers. An informative weekly newsletter and email, “IN THE BAG”, provides tips, recipes and a helping guide for preparing the produce. A weekly bag costs $15, $20, $25, or $30, depending on the size bag you choose. An additional $1 is added as a fundraiser for our library programs. The subscription is flexible; put your subscription on hold and re-start it at any time. There is an also option for a bi-weekly delivery. Other add-on options include; fresh artisan breads, fresh pastas, herbs, various cheeses and oils. North White Plains are a drop-off point.